I didn't know if this would be any good. I grabbed this Apple Beer from my fridge and hoped for the best. Origin: Salt Lake City, UT. Purchase Place: Frattallone's Ace Hardware, Burnsville, MN. Review: This really surprised me. It was quite tasty. 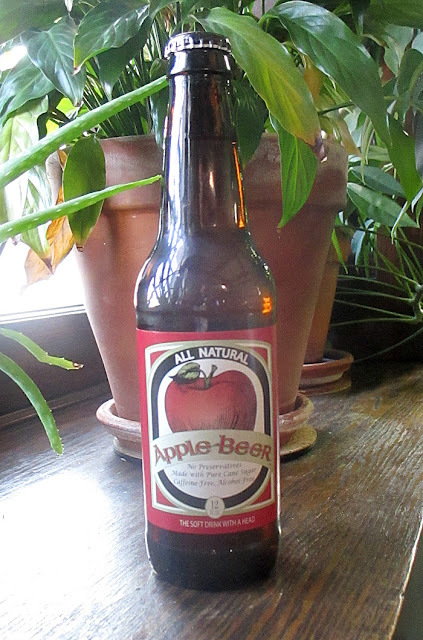 It (obviously and rightfully so) had a strong apple taste, but it wasn't tart like cider. It had the gentle smoothness and sweetness of soda, but the flavor of apple. It tasted very "natural" with not a ton of carbonation. This would be a great summertime out-on-the-back-stoop-watching-the-sun-set soda. ... but I wish it tasted a little better. Dang. Purchase Place: Frattallone's Ace Hardware, St. Paul. Review: This smelled perfect, but was a little heavy on the wintergreen. It wasn't bad, it was just slightly "off." I'd have it again, but it wasn't my favorite. I'm giving this a right-down-the-middle average score. Score: 5 out of 10. 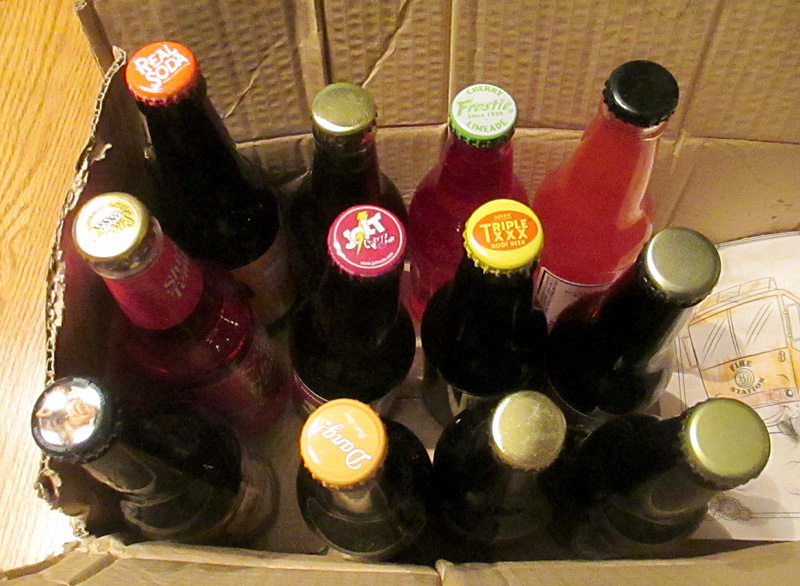 Quick side note: why do many small-bottler soda companies have such horribly designed websites. Tower Root Beer fits that mold. Review: It has strong wintergreen flavor, and just a little more anise than I care for. 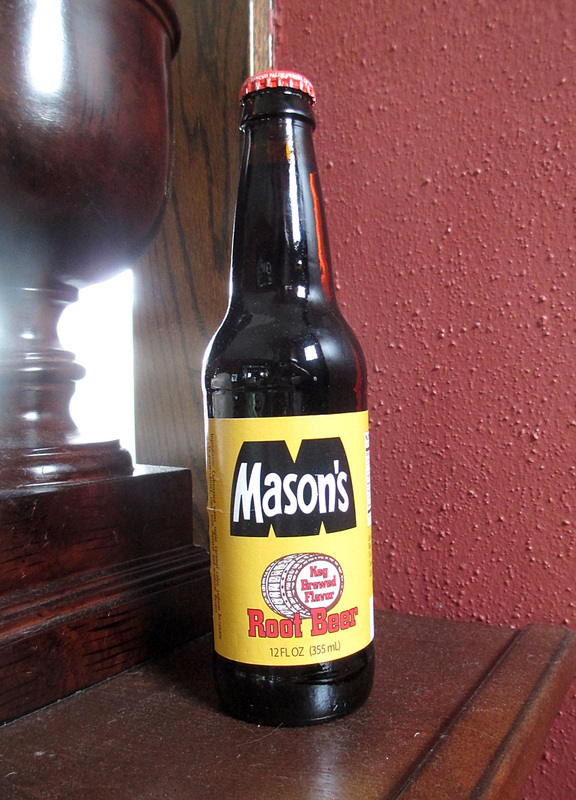 It's maybe a little better than average, and all-around just a good "drinkable" root beer. This was all natural with ingredients like black current juice concentrate, red grape juice concentrate, and grape skin extract. I was afraid it'd be too much of a "refined taste" for me, and I was right. 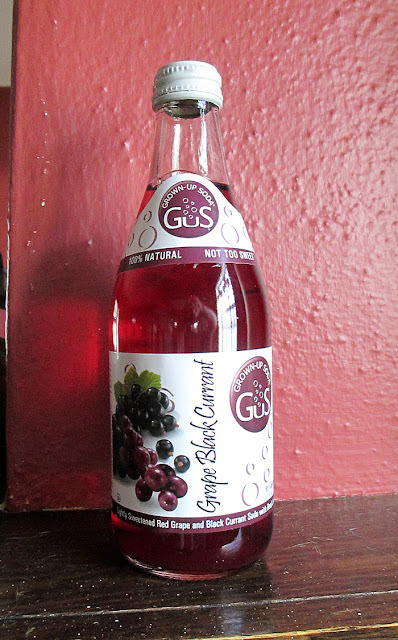 Review: The currant flavor is pretty strong. The bottle says "not too sweet," but that's what I see as the problem. It tastes a little like carbonated church wine. It's trying to cater to adults, but that's not the purpose of soda to me. If you're buying soda, you want sweet and tasty. This is like drinking wine when you were hoping for some Kool Aid. It reminds me a bit of some of the IZZE drinks, but not quite as good. It's not horrible, but it's just too dry and tart for my taste. I could see this being good in mixes drinks though. 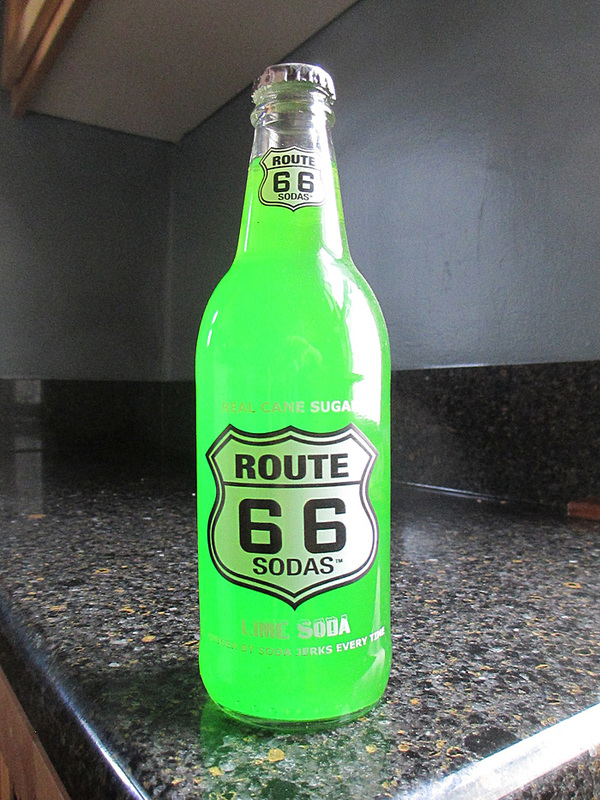 I enjoyed Route 66 Root Beer 2 months ago, and now it was time for some lime! The color was very similar to Simpson Spring Lemon & Lime soda, and I really liked that soda. So I had high hopes for this. Brand: Route 66 Lime Soda. Purchase Place: "Frattallone's Ace Hardware," Burnsville, MN. Review: So it wasn't QUITE as good as Simpson Spring Lemon & Lime, but it WAS good. It was very smooth and sugary, without being too heavy or syrupy. Honestly, if they called it "Lemon Lime," I would have believed it. It's a solid Lime soda. 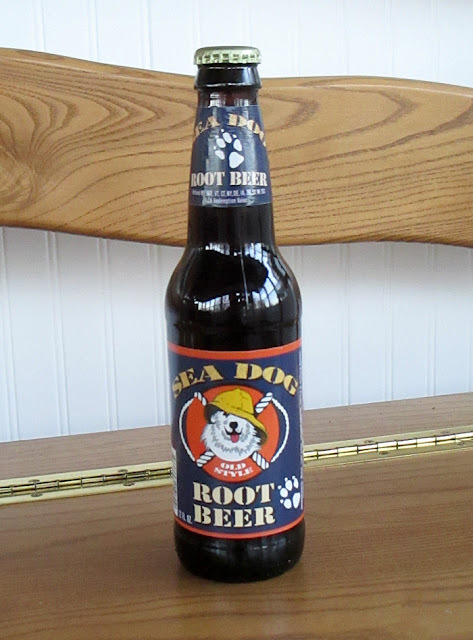 Brand: Sea Dog Root Beer. Review: This reminded me a lot of my last root beer (Capt'n Eli's). It's how root beer should taste. It had a "classic" taste that was fantastic. Smooth, a little bite, a hint of wintergreen and vanilla, and not too much anise. This was GOOD! Try this one today! Score: 9.5 out of 10 ! My parents came up last month to celebrate my birthday. They brought a surprise. Mom was proud of herself (and she SHOULD be!). She went to my post about getting sodas in Burnsville, she wrote down what I got there, and she made sure to pick other kinds when they stopped by the Frattallone's Ace Hardware on Grand Avenue here in St. Paul (near Macalester College). There were 4 sodas that I've had in the past (2 from "Minnesota's Largest Candy Store" and 2 ordered online), but 3 were good, so I'll be enjoying them again. So I'll be sipping from my TWO different Frattallone's Ace stashes for the next few months. Check back to see what I think! Time for some Capt'n Eli's. I cracked into this, and it smelled fantastic. It smelled strong of vanilla, wintergreen, and a hint of anise. 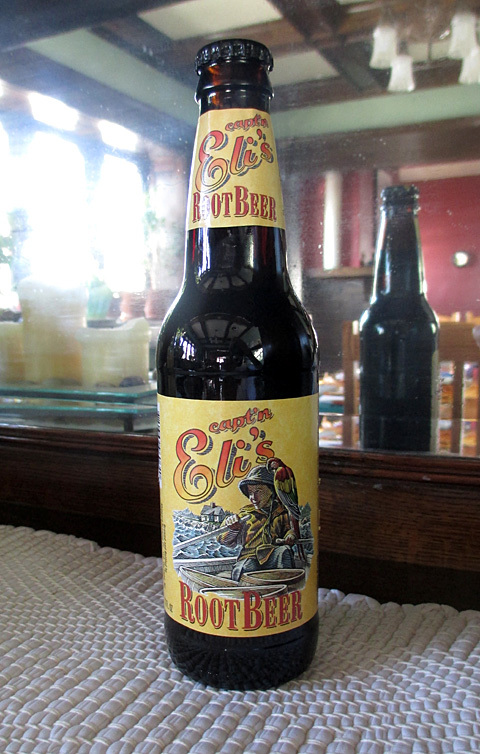 Brand: Capt'n Eli's Root Beer. Review: This soda is REALLY smooth and creamy. If you like a lot of head on your root beer, this is for you. It had a bit more anise than I cared for, but I say that a lot - I'm not big on anise. 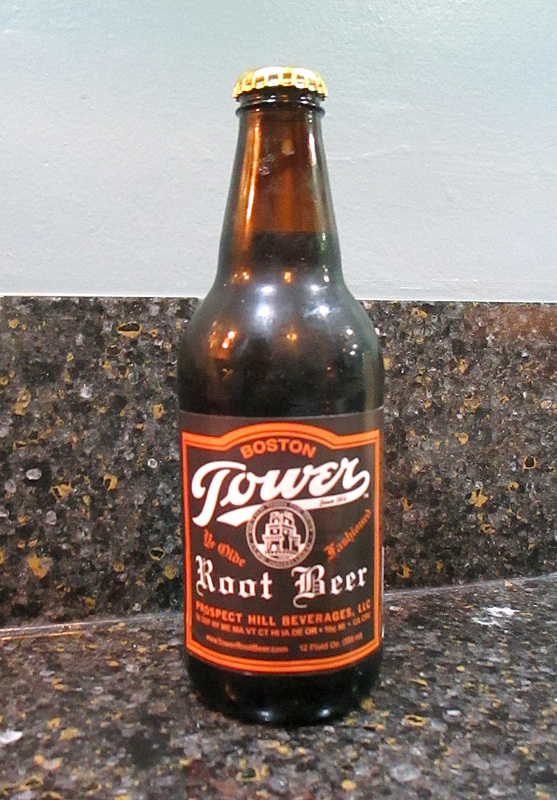 Overall, this was a really great, classic tasting root beer. Go try this!